There is no tougher market currently than the Compact SUV, so how does Ford’s new Kuga stack up against the competition, we find out. What is it? First launched in 2008, this is the brand new second generation Kuga and this time its promises to be larger, more practical and more economical. Who is it aimed at? 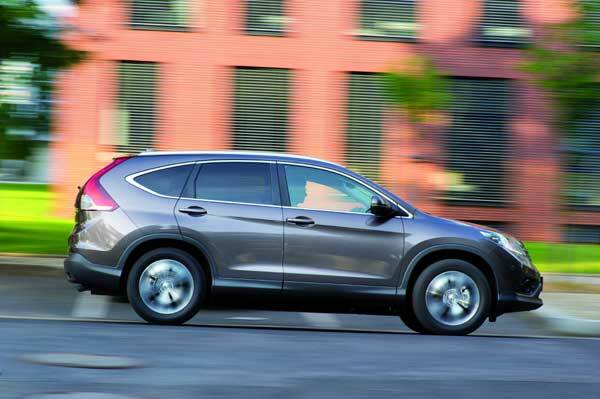 The previous version never offered much more space than a regular hatchback and was not ideal for large families. Now offering more space for passengers and luggage its a far more family friendly option. Styling? 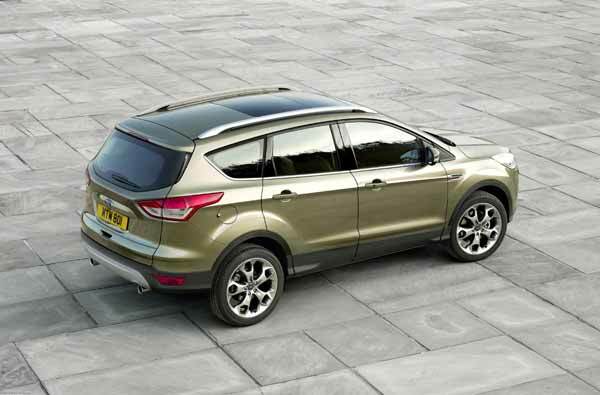 The handsome Kuga is certainly easy on the eye with its modern design and chiseled looks. Gone are the tough macho looks of the predecessor replaced instead with a softer look that fuses city chic with rustic ruggedness. Under the Bonnet? We drove the mid range Ford Kuga Titanium model, which comes equipped with 4-wheel drive and a 2.0 litre diesel engine with loads of power; put your foot to the floor there is plenty of oomph to overtake when you need to. Other engine options include a slightly more high powered version of the same engine. What about Inside? This is where the biggest changes from the previous version are evident and the new interior is funky and appealing and feels so much more upmarket. Behind the steering wheel the visibility is better and the dash is cleaner and much less cluttered with easy to use switches. Space is surprisingly good given that this car essentially sits on the same floorplan as the Focus and both leg and headroom is generous. Boot space is a decent 457 litres but if you’re carrying something really big, you can always fold the back seats down. 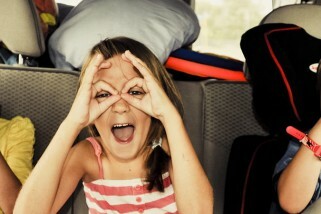 On the Road? The Kuga is now longer and bigger than before and on the road it feels it. While it is still very nice to drive and handles like a hatchback it doesn’t have quite the agility of its predecessor or the sporty edge. It rolls a little on bends but at all other times it feels rooted to the ground and stable in a way that’s unmatched by most rivals. Around town it is easy to park and manoeuvre with direct steering and a super slick gear box and on the open road it is refined, punchy and smooth. And Safety? Safety gets five stars from the Euro NCAP and the Kuga was awarded the highest ever for a car in its class. It features a host of aids designed to prevent accidents or if the worst happens keep you safe in the event of a collision. Options? 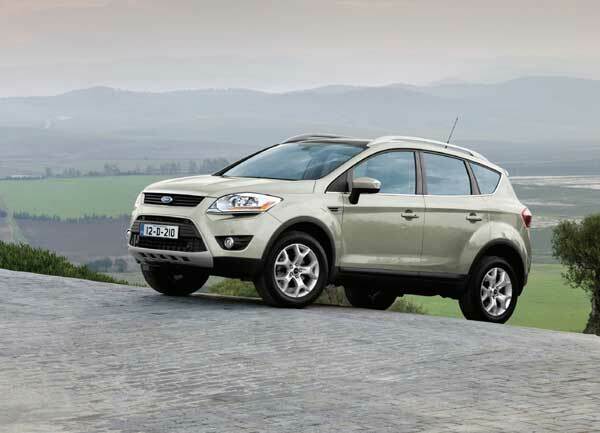 The Kuga is offered with either two or four-wheel-drive and two spec levels. There are also a host of innovative features including the option of an “air kick”-activated tailgate. 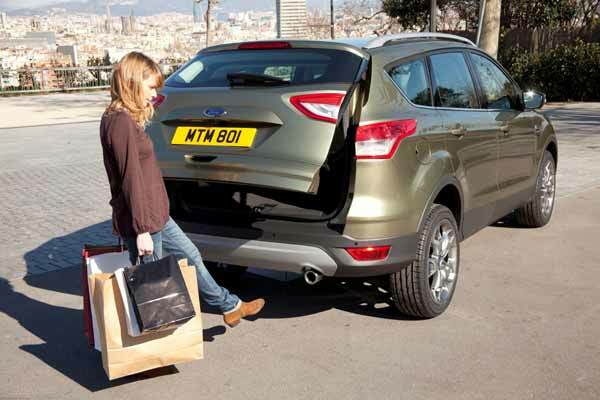 This is the ideal way to open a car boot when you’re weighed down with bags of shopping as all you do is simply kick or wave your foot under the rear bumper. What about fuel economy? One of the gripes of previous owners was fuel economy on the first generation Kuga was not as good as rivals. Ford claims to have improved this thanks to a range of fuel saving devices but we found it thirsty. The official combined fuel consumption figure is 5.9 litres/100km but we never managed to come anywhere close to this in a mix of motorway and city driving. Okay so the Verdict? The new Kuga is bigger, more spacious and boasts a raft of new technology and innovative features. Ford has addressed many of the gripes of the previous version so while the current Kuga may not be the razor sharp drive it was what it has lost in driving dynamics it more than compensates in sheer comfort and practicality. Overall it’s a far better car than before and while its more likely to be seen tackling school runs than snow mounds at least you can tackle them in style. For more information check out ford.ie or the Ford Ireland Facebook page.